What's the meaning of the phrase 'Peg out'? What's the origin of the phrase 'Peg out'? This phrase is widely thought to have been taken from the scoring in card games like cribbage (a.k.a. crib), in which the score is kept on a pegboard. The game ends when the first person 'pegs out'. That view may be correct, but there doesn't appear to be any conclusive evidence to support it. "He may with a very poor hand be just able to 'show' or peg out." 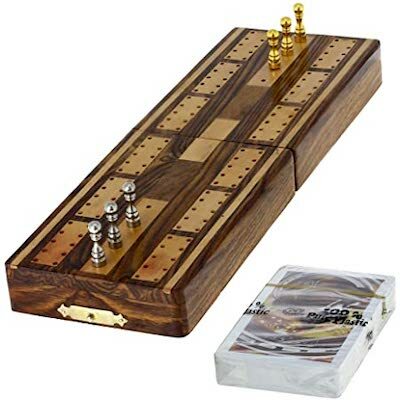 Cribbage is quite an old game and John Aubrey in his biographical work Brief Lives, said that Sir John Suckling, (1609 - 1641?) "invented the game of cribbidge". This seems to be a reliable account and is supported by other contemporary evidence. It may be then that the term 'peg out' was used prior to 1870 but wasn't recorded. "To think what a blessed mess of piety one's got into, and 'bleeged to keep it up until Daddy Day pegs out." "Peg out" is a slang phrase for die."